If you are looking for a place to hang out in Mendoza Wine Region, you're in the perfect place. When work gets boring, check out the 77 accommodation choices, all of which can be found within a 10-kilometre radius of all the action. 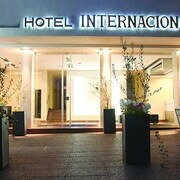 Mendoza Wine Region features a selection of convenient hotels, such as the Hotel Aragon and Premium Tower. 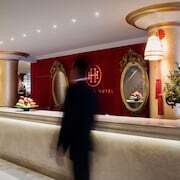 Mendoza is an area that has 7 hotels, making it the area with the biggest selection of Mendoza Wine Region hotels. 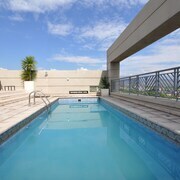 The B&B Plaza Italia and Milenium Suites should be at the top of your list. You could look at the Entre Cielos as well as the Finca Adalgisa. 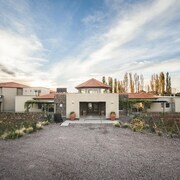 The Entre Cielos is located 15 kilometres away from the centre of Mendoza Wine Region. The Finca Adalgisa is located 12 kilometres away. 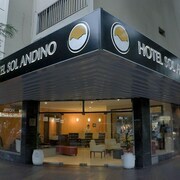 Another possibility is to book the Postales Hotel Boutique Chacras de Coria or the Paradise Departamentos. Once you have explored Mendoza Wine Region, why don't you explore a little further afield? The Cuyo - Wine Region vicinity has many other things to offer. Nature lovers will appreciate Cuyo - Wine Region's jungle, mountains, extinct volcanos and valleys. If the great outdoors are not your bag, spend time at some of the region's old towns. Popular pastimes in this part of Argentina include skiing and mountain biking. Looking for more to do? Spend the day visiting the Clos de los Siete Winery and Bodega Gimenez Riili, which you'll find in Tunuyan, 85 kilometres to the south of Mendoza Wine Region. 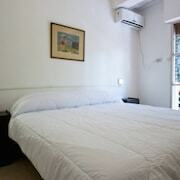 Some of our recommended Tunuyan accommodation options include the Fuente Mayor Hotel And Resort and Finca Ogawa. 11 kilometres to the south of Mendoza Wine Region you'll find Chacras de Coria, home to the Casa Glebinias and Posada Borravino. The Enrique Foster Winery and Chacras de Coria Town Square are some of the most popular points of interest to explore when visiting Chacras de Coria. Can't live without sport? Indulge in your passion by visiting Malvinas Argentinas Stadium, 4 kilometres to the west of Mendoza Wine Region. 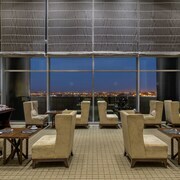 Those sports fans wishing to sleep close to the action can select from the Hotel Aragon or the Premium Tower. At lastminute.co.nz, we're a little obsessed with travel (okay, maybe more than just a little!). So when it's time to take in all the sounds, sights and delights of Mendoza Wine Region, we'd love to be your travel buddy.